The nylon bristle grill brush is made with grill brush safety in mind. Designed to be used on grills that are still cold to the touch, the Smart Start easily cleans off burnt on food, creating the perfect canvas for grilling foods. 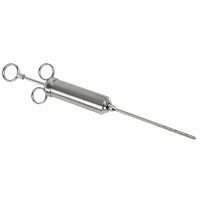 The three brush head design is ideal for rapid and efficient cleaning, scrubbing grill grates from every angle. This brush measures 17″ long with a plastic handle. 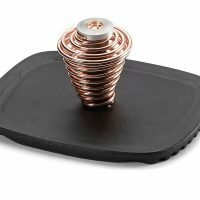 Safe to use on any type of grill grate. 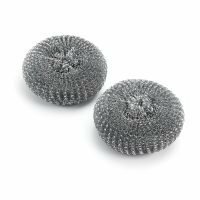 The nylon bristle grill brush is the latest advancement in grill brushes and this inline triple head design seems to be the most efficient at cleaning those porcelain coated grill grates (read our post about it here). 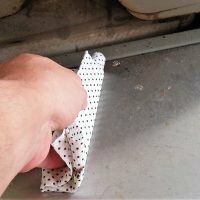 Those three spiral bristle brush heads get into every nook and cranny of your grates with minimal effort. 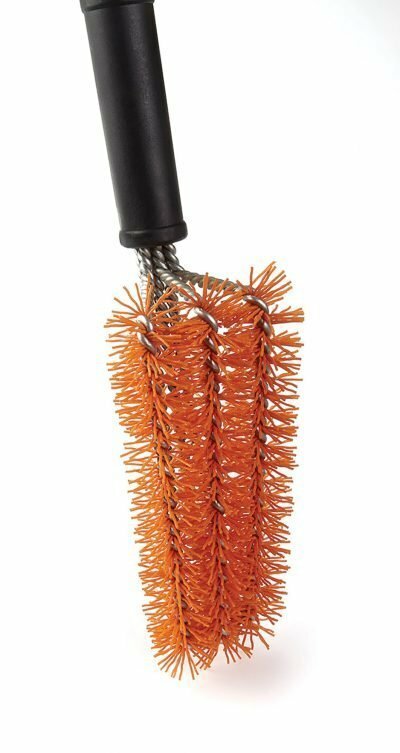 They made the bristles of the nylon bristle grill brush a nice bright orange so if a bristle happened to break off into your grill it could easily be spotted before ending up in your food. 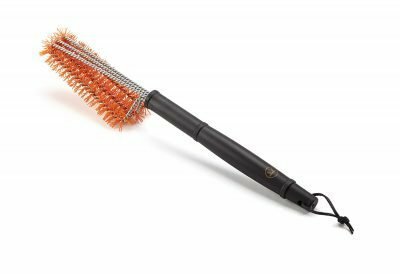 Some grill manufacturers are now recommending use of a nylon bristled grill brush. 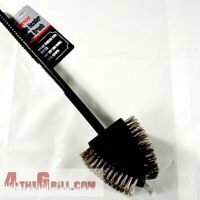 Because of the nylon bristles this grill brush should only be used on a cold grill. I know this goes against everything we know about cleaning our grills but if it gets to hot the bristles will melt. 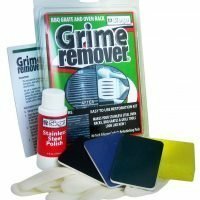 This could not only destroy the brush it could ruin your grill grates as well. The sacrifices we have to make in the name of safety. 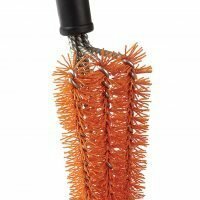 We post this on all of the grill brushes we sell, it really does not apply to this nylon bristle grill brush. 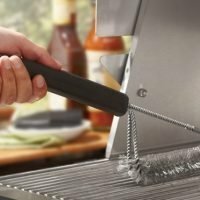 Grill brush safety is not something that even crosses most people’s minds, but here is the thing, it is possible for a grill brush to lose the metal bristles. If this happens and a bristle gets stuck on the grates it could get into your food, then it could get swallowed. This is not a common problem but it does happen, hospitals have been reporting these incidents since the 1950’s. So here is what you need to do.